Koei Tecmo and Gust have released the debut trailer for the brand new Atelier Lydie & Soeur: Alchemists of the Mysterious Painting at the Tokyo Game Show this year. The first title in the “Mysterious” sub-series, Atelier Sophie: The Alchemist of the Mysterious Book, and the second title, Atelier Firis: The Alchemist and the Mysterious Journey, were games that set new standards for the Atelier series. 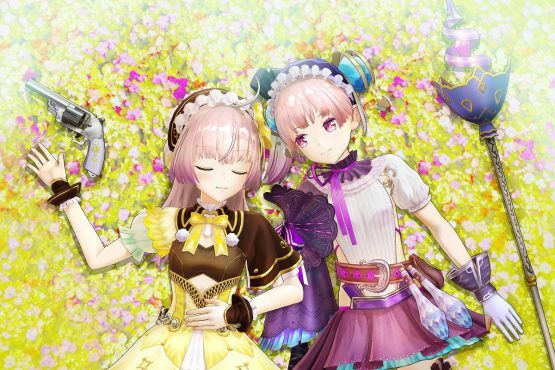 Atelier Lydie & Soeur: Alchemists of the Mysterious Painting will depict the ordinary, everyday lives of twin sisters Lydie and Soeur, as well as take players on an adventure through the fantastic and mysterious worlds of paintings. As is appropriate for the Mysterious sub-series, Atelier Lydie & Soeur will maximize the appeal of the Atelier series not found in other RPGs. Atelier Lydie & Soeur is based on the concept of coexistence between the ordinary and the extraordinary, and utilizes a feature known as the “ordinary system” while interweaving extraordinary experiences within it. In order to implement this, the theme of “paintings” was decided. Atelier Lydie & Soeur: Alchemists of the Mysterious Painting will launch for PlayStation 4, PS Vita, and Nintendo Switch this winter in Japan.